A select few look at classic cars as a starting point for a tough undertaking: transforming these icons of the past in machines that are able to keep up with whatever’s new on the road right now. The key is to have everything come out in pristine condition – hence the term restoration in ‘resto-mod’ – while modifying what’s under the skin. Some choose to start from existing cars while others do something more radical - building their own chassis from the ground up and then wrapping everything up in a retro bodywork that clearly reminds you of their inspiration. The Eagle E-Type and the Singer Porsches fall in the latter category. Brothers Max and Andrew Banks took their father’s business of selling Alfa-Romeo parts and restoring 105-series models to the next level when they offered the first GTA-R based off Max’s GT 1300 Junior. The two brothers’ experience in racing classic Giulias translated into a series of parts meant to improve the performance of these half-a-decade-old cars. But clients came and asked for more after seeing every ounce of their experience pieced together in the form of the GTA-R. They wanted a GTA-R of their own! That’s how the operation of building turn-key GTA-Rs started, although the parts business goes on hand-in-hand. The GTA-R 290, their most recent evolution, is ludicrous. It barely weighs 1,830 pounds thanks to its carbon fiber doors, trunk, and hood. And with 240 horsepower and 240 pound-feet of torque from a 2.3-liter, four-cylinder, Twin Spark engine with Alfa 75 origins it also goes like a bat out of hell. It also has a copper-sintered plate limited slip differential, lightweight driveshaft with rifle-drilled half-shafts, and an Autodelta-inspire 5-speed close ratio gearbox. The list of improvements keeps on going like the to-do list of a Christmas shopper who’s left it all on the last day. You have double adjustable aluminum gas shock absorbers all around, titanium top front wishbones, huge Superleggera 6-pot 11.3 inch-wide ventilated disc brakes up front, and 2-pot 10.8 inch-wide ventilated discs at the back. In short, the car goes and handles better than most anything you can think of with Top Gear’s Jason Barlow saying it comes close to his experience behind the wheel of a McLaren F1 in terms of how well the car’s responding to your inputs, how it handles the road and how much it communicates back to you. How much for all of this? A mere $315,000… we’ll let you calculate how many organs that is. Los Angeles-based Singer Vehicle Design is a company that restores and, if you want them to, rebuilds Porsche 911s from the ground up to be retro-looking spacecrafts. They’ve been doing it for a fair few years now, so founder Rob Dickinson and CEO Mazen Fawaz thought they should take it a step further. 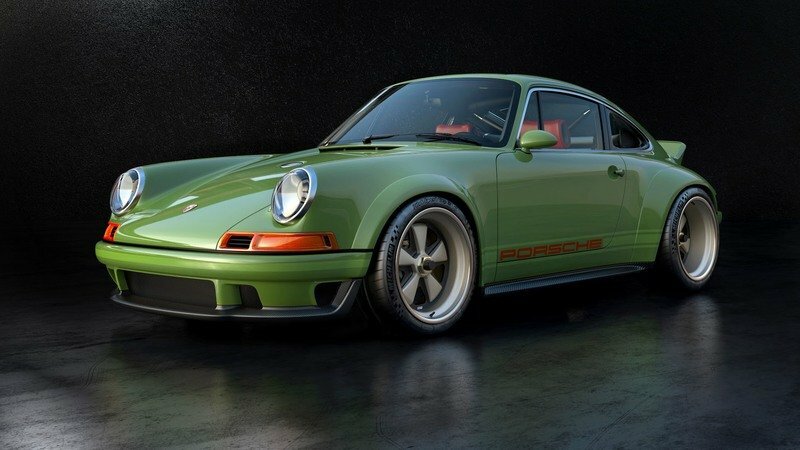 What they usually do is take a Porsche 964 shell, strip it off, cover everything back up with bits that make it look like a 911 from the early ‘70s then bolt on top-end parts underneath to make it handle like a dream and look quite spectacular on top of that. This latest project, though, shows just how far they can go. Called the DLS (Dynamics and Lightweighting Study), this Singer 911 was baked in the wind tunnel at Williams Advanced Engineering – yes, the same Williams that’s in Formula 1. The engineers there thought the basic shape of a 964 is pretty appalling. That’s how the reshaping work started. 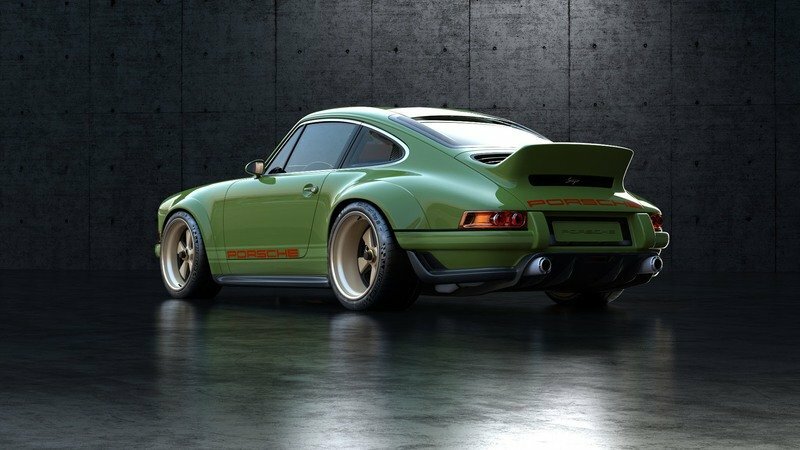 The roof and rear window have been carved, for example, to help the rear ducktail – inspired by the 1973 Porsche 911 2.7 RS – to actually work and produce downforce and, similarly, aero appendages were added front and rear to direct airflow and help the car not lift at high speeds, which is what it did in stock form. The engine, a 4.0-liter, is still air-cooled as the boys at Singer are true purists, but it now produces 500 horsepower and revs to 9000 rpm. The block is made from magnesium, and it has four titanium valves per cylinder, twin overhead cams, and lightweight throttle bodies. The weight is, thus, kept rigorously in check, sitting somewhere around 2,100 pounds. Only 45 regular 911s will get the DLS treatment, and we’re not sure how much it all amounts to but, just so you know, an average Singer 911 sets you back about $400,000. Read our full review on the 2017 Porsche 911 By Singer Vehicle Design. Icon 4x4 is a company that rose to prominence by turning old Jeeps and Toyota Land Cruisers around with a twist: putting modern engines under the hood and coupling them with more adequate gearboxes and suspension kits. This led the company to its major hit, the BR Project: re-imagining the legendary Ford Bronco to make it more fun and practical than ever. The old-school rugged lines were still there, but they now sat on modern off-road wheels, the interior was re-thought, and everything looked as if Ford took them off the conveyor belt yesterday. Some customers who wanted an even more retro look to their modernized Broncos thought it looked too new. That’s how the ‘Old School’ line came about. These Broncos are restored to look period-correct on the outside, minus the bigger wheels that are necessary due to the bigger brakes. That’s one of the few exterior indicators that Icon 4x4 still had some fun with these cars. You still get the 5.0-liter, Coyote V-8 from under the hood of a Mustang, which is rated at 431 horsepower, Fox Racing suspension, A/C and even LED headlights in what seem to be 45-year-old headlamps. Very subtle, unlike the $160,000+ price. Read our full review on the 1996 Ford Icon Bronco. 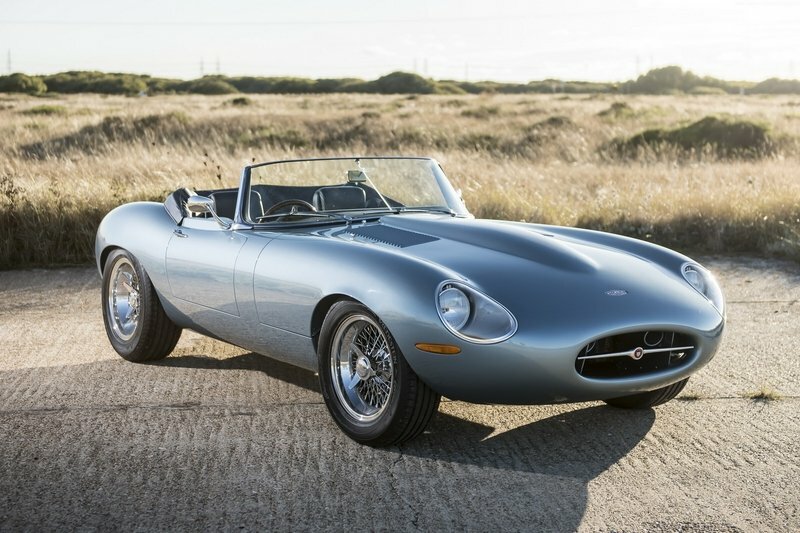 The Eagle E-Types are some of the most expensive resto-mods that money can buy. It’s impossible that you haven’t heard of them and one of the most recent projects of the Englishmen at Eagle is the E-Type Spyder GT. It takes the best of what the Low-Drag GT and the Speedster have to offer, mixes it together into one package and delivers it to you for just under $1,100,000. With a handcrafted lightweight aluminum body that stays close to the Macolm Sayer-penned design and a hand-built inline-six under the hood that is capable of 334 horsepower and 340 pound-feet of torque, the Spyder GT can go as fast as 170 mph. That’s because the whole thing weighs only about 2,270 pounds. The power reaches the rear wheels via a five-speed manual gearbox with a limited-slip differential. It has wishbones all around as well as adjustable Öhlins dampers. The rims are 16” in diameter to house the huge AP Racing brakes with aluminum calipers. The original E-Type was at least as gorgeous to look at but it was sluggish, and it never dreamed, not even as a Lightweight Coupe, to handle as good as this. Too bad it costs as much as a Ferrari F40. Read our full review on the 2017 Eagle E-Type Speedster GT. The FJ Company, guessing from their name, knows its way around the classic Japanese 4x4s. So much so that they offer a huge variety of FJs and Land Cruisers they could build for you, from mere restorations to proper resto-mods. Such a resto-mod is the top tier Signature edition. It has a current Toyota 1GR-FE, 4.0-liter, V-6 under the hood mated to a 5-speed manual. Beyond that, inside, you have Recaro seats covered in leather, an infotainment system which can be controlled with your iPad, LED fog lights and more. The suspension and damping is also updated, and it also comes with a Warn 8274 winch up front. The body’s made from steel, and you can be sure the finished product is as rugged as the original – although it costs more than $200,000 (the Signature), and FJ Company only plans to build 25 of them. Italian racing driver Eugenio Amos’ plan when he set off creating a “new-old” Delta Integrale was to ‘Make Lancia Great Again.’ Looking at the Fiat-Chrysler-owned company now it’s not hard to see why: they only make the Ypsilon in low numbers, and that’s only for the European markets. Gone are the sedans, gone are the sporty hatchbacks, basically everything is gone, and Lancia itself is almost extinct. This is a great pity as Lancia has a huge history in motorsport littered with historical victories in Grand Prix racing, rallying, and endurance racing. 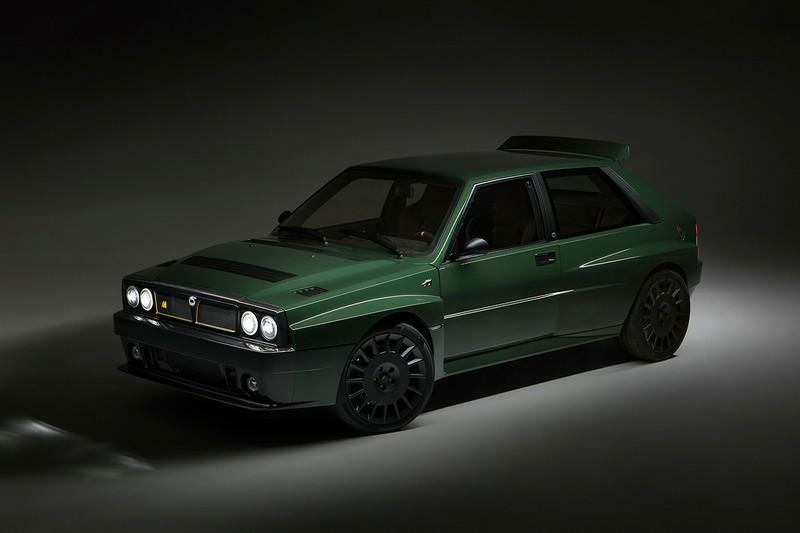 The Delta Integrale was arguably Lancia’s final big hit, a car built to homologate the Group A rally car which became champion on the stages and a petrolheads’ favorite on the streets. The same happened to Eugenio Amos who fell in love with his father’s Delta and, decades later, has set about to build the best Delta there has ever been. The end result was presented in Basel as the Delta Futurista. It only has two doors, a body made out of carbon fiber and aluminum which makes the whole thing barely move the scales at just 2,755 pounds and 330 horsepower under the hood. That’s 120 horsepower more than the 2.0-liter 4-cylinder turbocharged engine made from the factory. Read our full review on the 2018 Automobili Amos Delta Integrale Futurista. I know, I know, I included another Porsche on this list when there’s already the Singer. How can anything else in the Porsche world be better than a Singer? Well, ex-racer Bruce Canepa feels he got the knack of Porsche’s most high-tech car from the ‘80s and now can give it a makeover so it can challenge modern supercars. Californian Bruce Canepa used to race Porsche’s brutal 935 back in the ‘80s and was instrumental in bringing the 959 in the US as a “Show or Display” model that didn’t have to adhere to US crash test requirements. 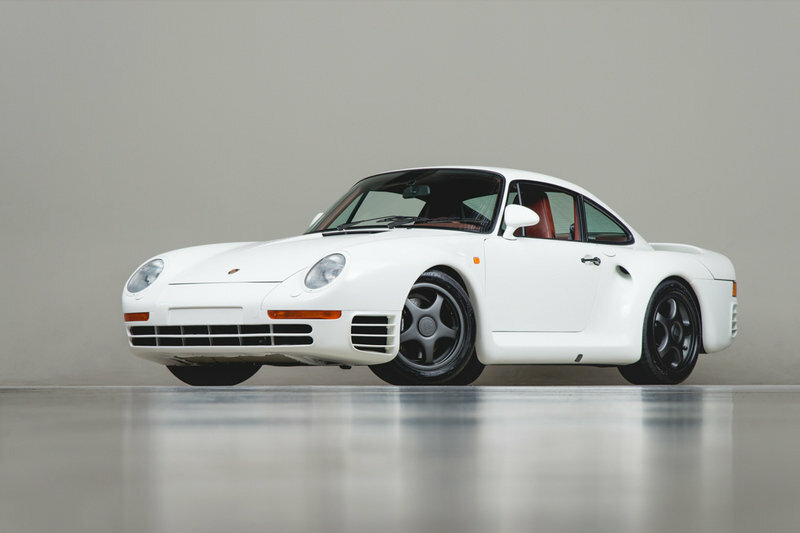 He started improving the car – of which less than 300 were built – in the early ‘00s, and the 959SC (Sport Canepa) is the latest iteration. 4,500 work hours go into such a car, and only 50 will ever roll out of Bruce’s huge workshop which also deals with other restoration projects of the highest order. Basically, you bring a 959, or you let Bruce’s men locate one for you, they then take it all apart, update it with every latest technology, put it back together to your specifications – in terms of exterior colors, interior upholstery and others – and, that’s it, you’ve got yourself a 959 which has almost 200 ponies up from the ICE of the 918. It really doesn’t matter, at this point, how big of a hole this makes in your bank account. If you can afford it, you don’t care. 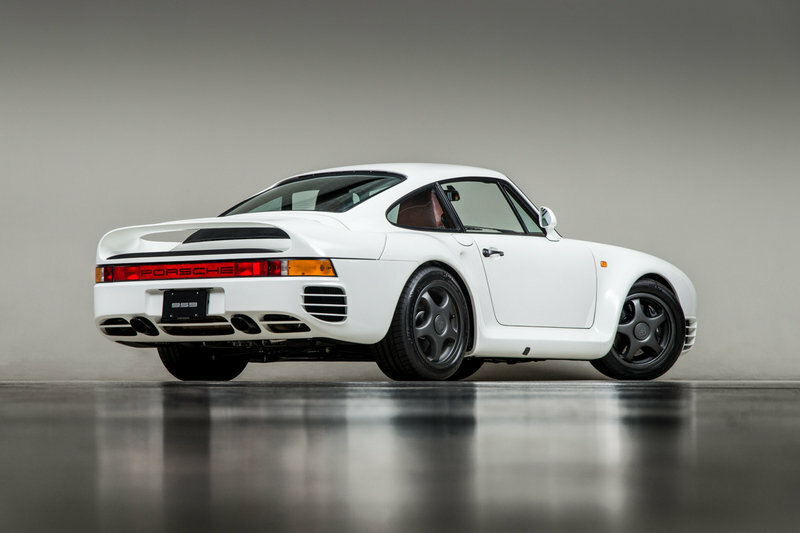 Read our full review on the 1987 Porsche 959SC by Canepa.